I consider myself a bit of an expert when it comes to banana bread. I have quite a history with the stuff. There was this Chocolate Chip Nutella Banana Bread with a Cream Cheese Swirl back in the day (check out the atrocious photos). 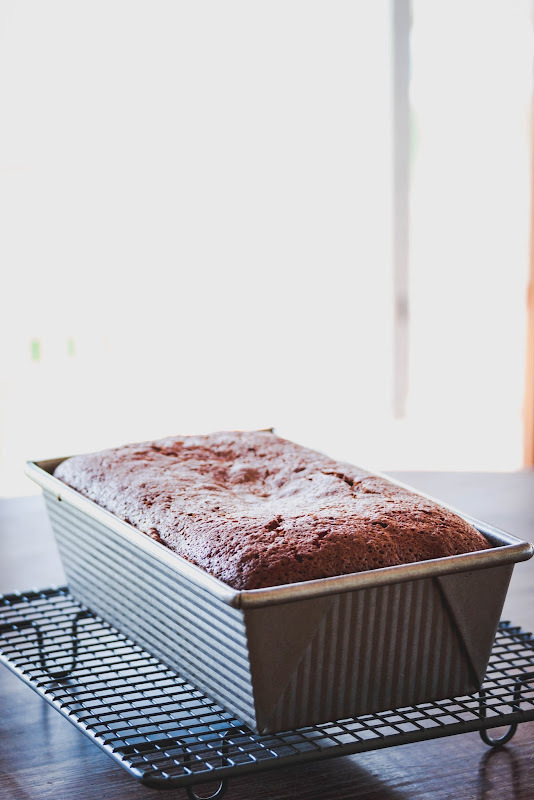 Then came this very yummy Peanut Butter Banana Bread (I must make that again soon). 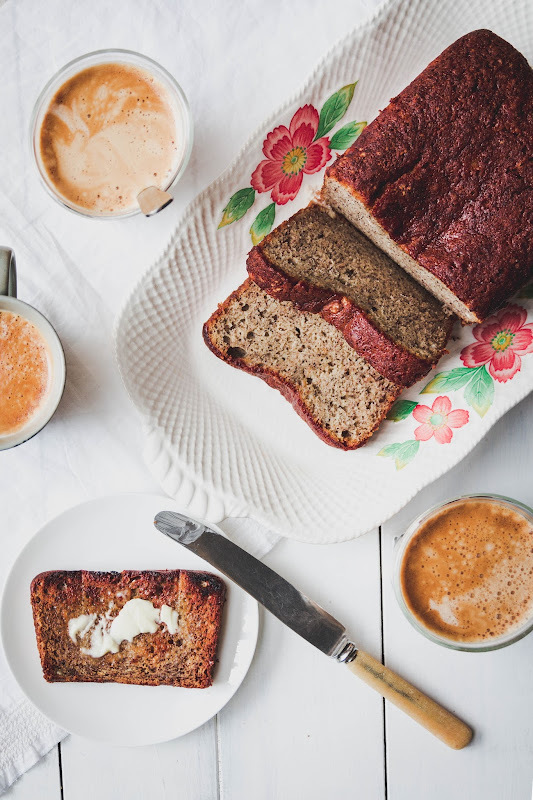 I was positively giddy over this Espresso Banana Bread (giddy, in a good way. I mean coffee with and in my banana bread, hello?) 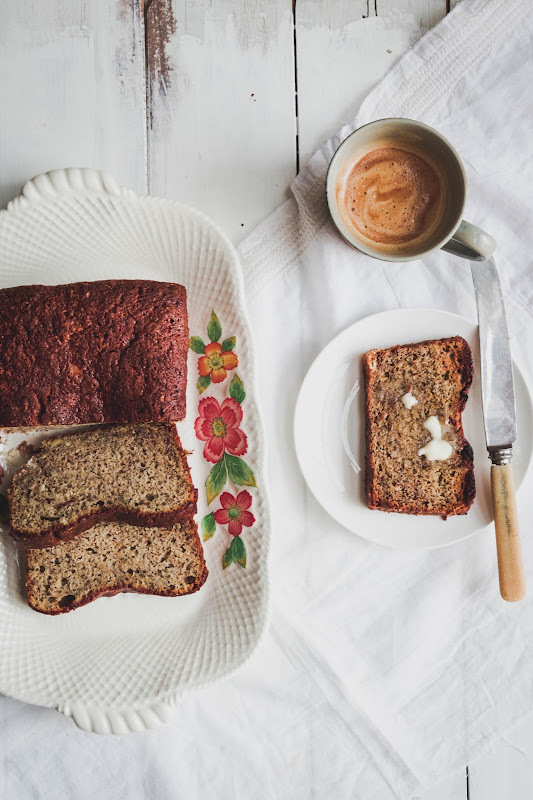 And this Banana Bread with Cardamom and Cacao Nibs is imprinted on my brain (and my taste buds). 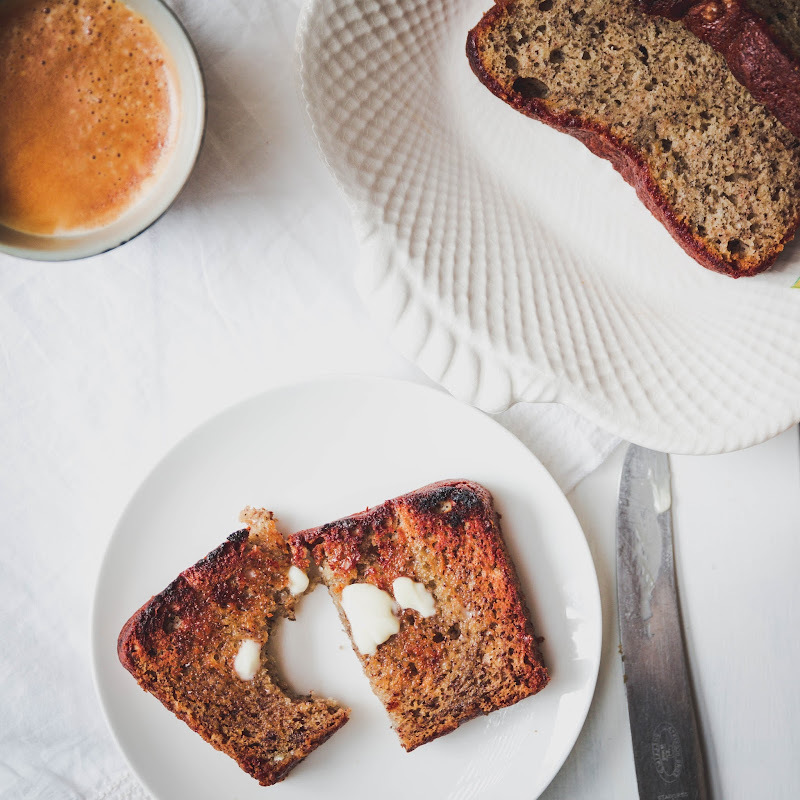 Then I went completely off-piste with this Date and Banana Breakfast Bread with Homemade Pecan Butter (that was off-piste, not piste-off). Then I totally broke the mold with these Banana Bread Granola Bars (because banana bread can come in many forms, as I have already demonstrated). And I can't forget this Raspberry and Coconut Banana Bread (tropical much!) 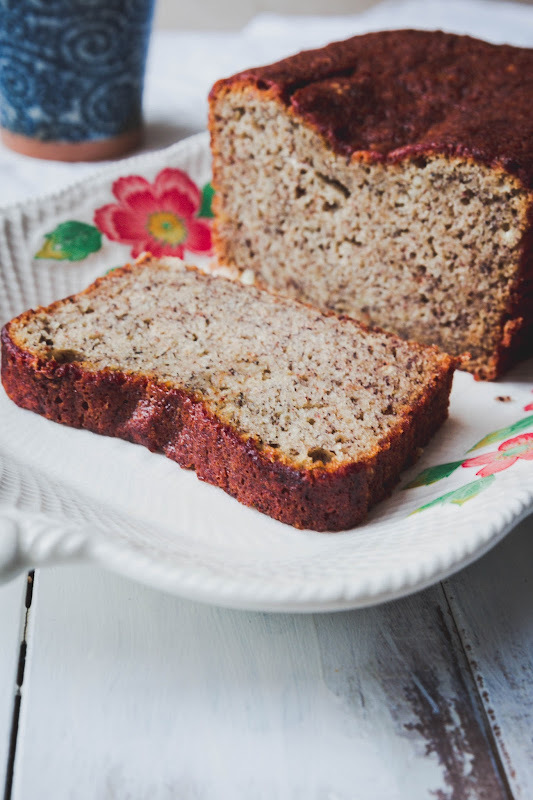 This Bourbon-Spiked Banana Bread is everything (everything). So yeah, I know my banana bread. I'm your banana bread sensei. So you can trust me when I tell you that this simple and delicious incarnation is my current favourite favourite... until I make another variation, that is. Which won't be very long if history tells us anything. Preheat the oven to 165°C. Spray a 23 cm x 13 cm loaf pan with cooking oil spray and line it with baking paper. Set aside. Sift the flour, baking soda, cinnamon, nutmeg and salt into a bowl and set aside. Put the sugar and eggs into the bowl of an electric mixer fitted with the whisk attachment, and whip them together for about 5 minutes. Reduce the speed to low and slowly add the oil. Add the mashed bananas, sour cream and vanilla and mix on low until incorporated. With the mixer on the lowest speed, add the flour mixture and mix until just combined. Do not over mix. Pour the batter into the prepared tin and bake for 1 hour to 1¼ hours or until it springs back when lightly pressed in the middle. Leave to cool on a wire rack in the pan for 30 minutes before removing from the pan and leave to cool completely on the rack. 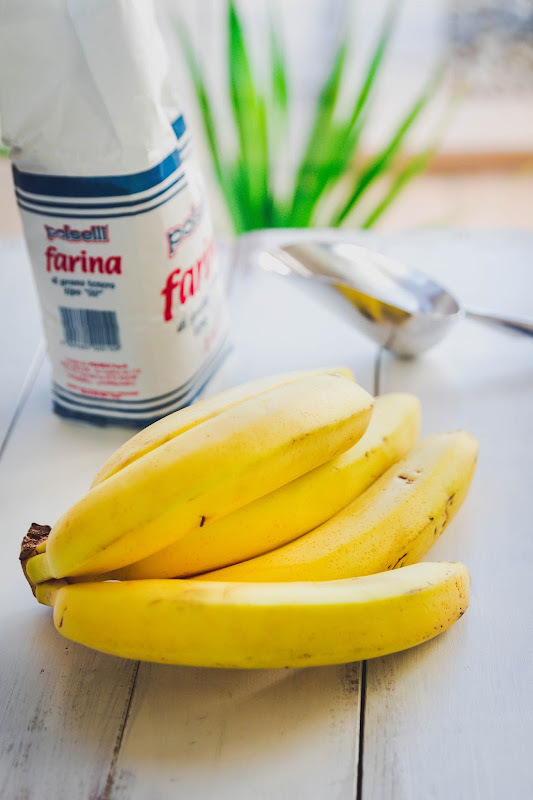 I was looking for a recipe to use my frozen bananas...I didn't think of coming on your blog, damn me!! Next time, you'll be my first stop for my reseach haha :) Love this one, perfect for when you have too much sour cream!